Jordan Prosser has just been awarded 1st place in the Shore Scripts’ Feature film awards and is currently performing in the "side splitting farce" - Peter Pan Goes Wrong that is touring Australia. You can still catch the show in Sydney and Perth. Jordan Prosser has just been awarded 1st place in the Shore Scripts’ Feature film awards in what was a record breaking year in terms of the number of submissions and the overall quality of the work submitted according to the judges. 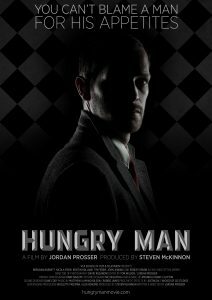 He won for his feature film Hungry Man – the protagonist Leon Greene and his manipulative tapeworm have tasted every forbidden food on earth, but when Leon falls for the enigmatic hotelier Jennifer Feathers, the worm coaxes him into hunting down the one delicacy they have yet to sample: human flesh. Jordan told Reegood he wanted to be a superhero, or maybe a cop, when he was in kindergarten. He said he remembered thinking it would be really cool to stop bank robberies, to save the day. But then, as he got a bit older, he realised what he really wanted was to pretend to do that, and decided to be an actor. But then he got bit older again and realised that he didn’t want to just be in stories, he wanted to be telling those stories. Reegood asked him when he wanted to be in the industry and he said that that was a funny question, because at first you don’t think you realise that it is an industry, per se. And then you go see Titanic and someone tells you it cost 200 million dollars to make. Two hundred million dollars! And sooner or later it dawns on you that what you want to do with your life is hideously expensive. But Jordan continues to perfrom, write and direct. He is currently performing Peter Pan Goes Wrong. It takes the J. M. Barrie classic and turns it on its head, totally butchering the children’s story we all know and love with hilarious results according to reviews. 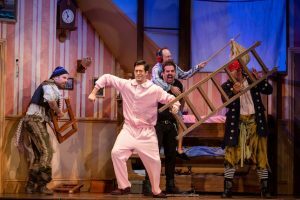 “A SIDE-SPLITTING FARCE FOR THE WHOLE FAMILY” HERALD SUN. Peter Pan Goes Wrong is touring Australia from December 2018 to March 2019. Jordon told us that there were so many amazing people who looked after him, guided him, taught him, and showed him enormous kindness and humanity during his time at Radford; Mr Huitker, Mr Akhurst and Mr Mordike, of course – Dr Burns, Mr Lucas, Mr Craddock, Ms Mackey, Mr Ellison, Ms Harvey, Ms Wales and Rev Blaskow – to name only a few. Jordan Prosser is a graduate of the Victorian College of the Arts, working as an actor, writer, and director across stage and screen. 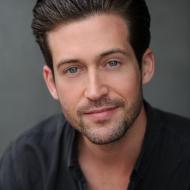 Jordan has appeared in Jonathan M. Schiff’s The Elephant Princess, as a voice actor in Happy Feet 2, in the short films Shoplifting, Northkids and Body Movie, and in Alice Foulcher and Gregory Erdstein’s 2017 festival favourite That’s Not Me. 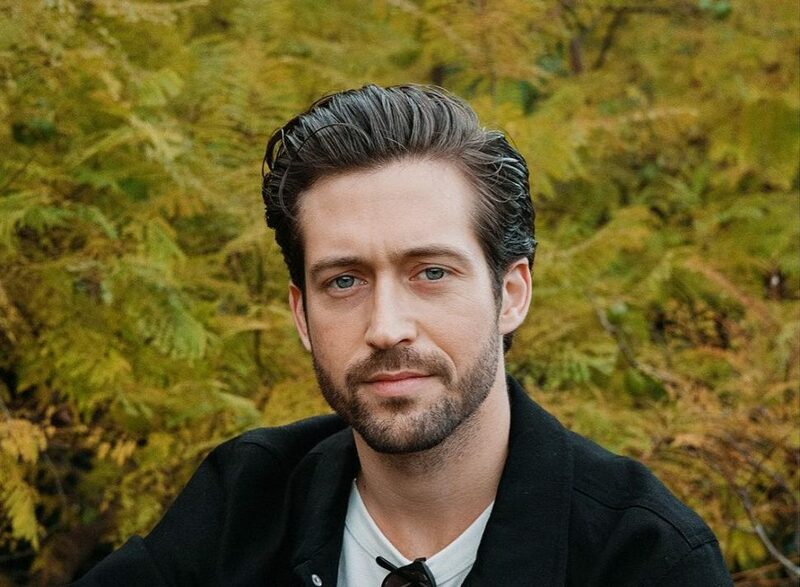 As a director, Jordan’s short films have screened at numerous festivals both locally and internationally, and he recently co-wrote the screenplay for Justin Dix’s upcoming horror feature Blood Vessel. Across 2007-2008, Jordan wrote, directed and starred in the award-winning two-man play The Landlords at the W.E.T. Season (Belconnen Arts, Canberra) and the Melbourne Fringe Festival. In 2011-2012, he joined a group of Australian playwrights in adapting Japanese cult novelBattle Royale into an interactive, site-specific performance for Filipino collective Sipat Lawin Ensemble. The controversy surrounding the production led to the creation of the acclaimed documentary theatre piece Kids Killing Kids, performed at the 2013 Melbourne Fringe Festival, the 2014 Next Wave Festival, and touring nationally. In 2015, Jordan performed in Raya Martin’s How He Died Is Controversial with a group of international artists at the Asian Arts Theatre Festival in Gwangju, South Korea, and in 2018 he joined long-term collaborator David Finnigan in London for the creation and performance of a new work at Nesta’s FutureFest, the futuristic sci-fi cop drama CrimeForce: LoveTeam. Jordan was most recently seen on stages across Australia touring with The Play That Goes Wrong. Get the latest news and stories from and about Radford Collegians. Collegians—claim your profile today to connect and help build the Radford community. Share your story—it’s a powerful way to spark connections and new opportunities, you never know who you might inspire. Find out what your old classmate are doing and where? What are the class of 96 doing? Who is a marketing professional, electrician or physiotherapist? Find out where in the world your classmates are now and dob in a mate if they are somewhere exciting. Discover Collegian businesses—or list your own. New business opportunities are a click away. There are some great deals available to the Radford community. Year level ambassadors are a vital link between your former class and Radford Collegians’ Association—channelling news, updates and stories. Why not apply to be an ambassador for your year level? Give back to the Radford community and become a mentor or find someone to help you achieve your goals. The Collegians Association will connect you up. Thanks for updating your details. Remember a profile makes it easier to keep your details up to date. So if you’d like to please claim your profile in the future. This will also allow you to share your story and connect with others. Once approved you will receive an email confirming your profile is live on the site. To finish Your registration, please fill in the required fields. Create one here Forgot user name or password?